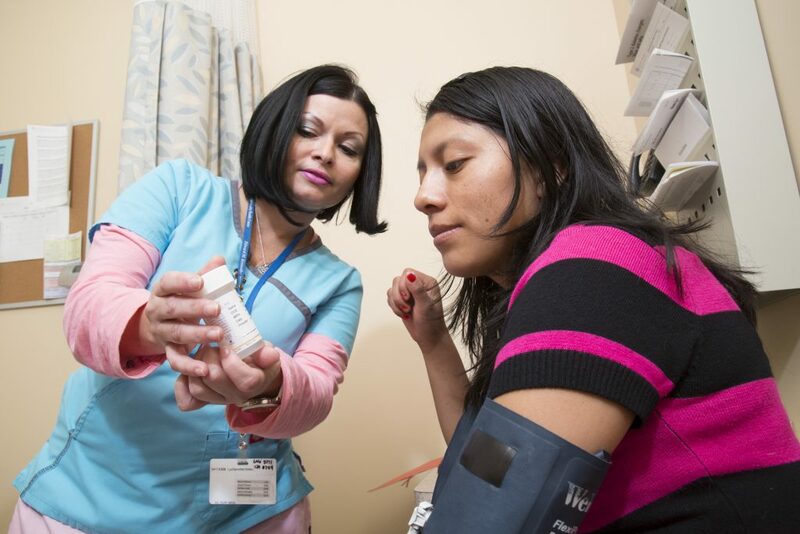 The Kennedy CHC Pharmacy Program provides on-site 340b pharmacies at our 19 Tacoma Street, Worcester and 354 Waverly Street, Framingham locations. The pharmacy in Framingham is managed by Eaton Apothecary/CVS. Our 340b pharmacies allow us to purchase prescription medications at a discount through special funding through the federal government and pass these savings on to our patients. We also have a clinical pharmacist on staff in Worcester, and faculty from the Massachusetts College of Pharmacy and Health Sciences and their students help us offer clinical pharmacy services to our patients and consultation to our providers in both Worcester and Framingham. What does this mean for patients? Access to steeply discounted medications to meet the various needs of our patients. We also accept most health insurance plans, including MassHealth. For questions, and to refill your prescriptions, please call 508-854-2128.